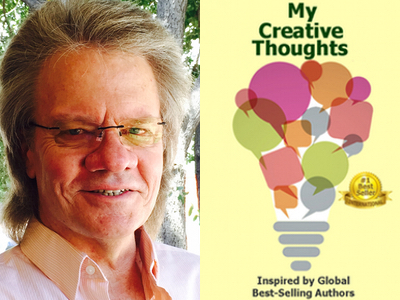 Joe Murphy is featured in Expert Insights’ #1 Int’l Bestseller, My Creative Thoughts Journal! Joe Murphy is an entrepreneur, student of life and creator of The Emerging Awareness Code™ empowering us to shift our perception from survive to thrive. Rev. 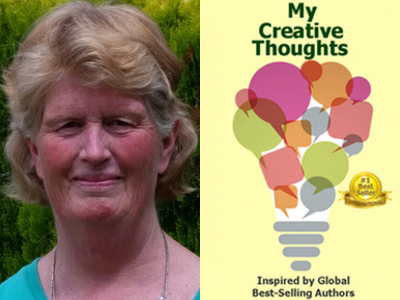 Lynn Walker is featured in Expert Insights’ #1 Int’l Bestseller, My Creative Thoughts Journal! 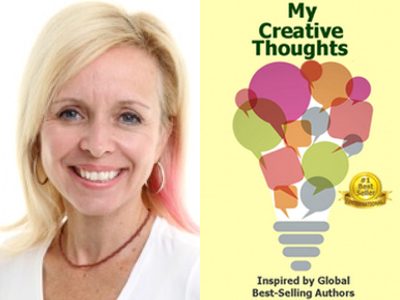 Steffi Black is featured in Expert Insights’ #1 Int’l Bestseller, My Creative Thoughts Journal! Via her #spreadthekindness message, Steffi Black creates monthly school curriculum plans as well as presents on Why Kindness Matters Today for corporations. 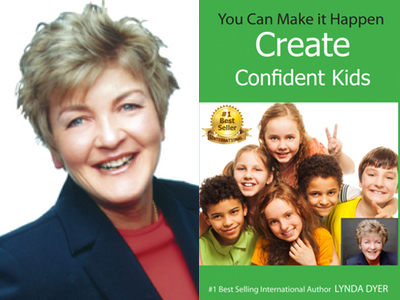 Congratulations to Lynda Dyer for her #1 Int’l Bestseller, You Can Make it Happen: Create Confident Kids! for her #1 International Bestseller, You Can Make it Happen: Create Confident Kids. Lynda Dyer is one of the 58 people from around the world filmed for The Secret because she applies her material to her life and cured herself of Lupus. She is a Certified Professional Trainer in Neuro Linguistic Programming (NLP) and is an international speaker, author, and transformational coach. Lynda assisted the earthquake victims in China by writing and translating 5,000 copies of her Best Selling book, Good Grief, and delivering them personally. She was recently chosen to be a cast member on the Living Consciously TV show and is a co-writer of the new bestseller Wounded? Survive! Thrive!!! Her amazing stories will evoke joy and tears. She travels the globe as an inspiration to many around the world with her passion and zest for empowering others to be more. 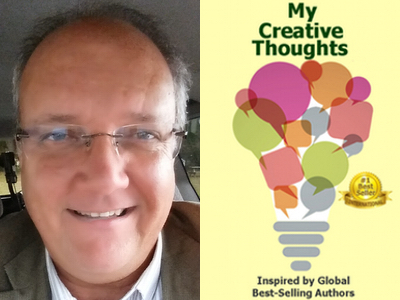 Russell Lanier is featured in Expert Insights’ #1 Int’l Bestseller, My Creative Thoughts Journal! Russell K. Lanier is an award-winning, university-educated television news producer. After leaving college, he became a top news producer in the Chattanooga, Tennessee market. He then went on to become an Honors Graduate from the prestigious Poynter Institute for Journalists in St. Petersburg, Florida receiving professional certification in “Producing News.” Russell was among the best in his profession garnering top ratings with nearly every show he wrote and produced during his twenty years on the frontlines of broadcast news. He visited colleges and universities as a representative of the television station where he worked and talked with students and gave presentations on news writing. Russell even created a sports feature that later won the reporter assigned to the seasonal project an Emmy Award. Along the way Russell also developed a journalistic savvy about writing crime stories that intrigued his colleagues — he seemed to have an insider’s knowledge about street crime. But it was his secret, double-life that finally caught up with him and kept him from ascending the ladder to big-market success. While engaging in his passion of gathering the news, Russell became the news. Russell Lanier is an alcoholic and a hard-core drug addict. It is Russell’s new mission to speak to young people about his experience as an addict and warn them of the perils of experimenting with drugs and alcohol. Russell’s message to avoid substance abuse at all costs resonates a truth that is eternal. 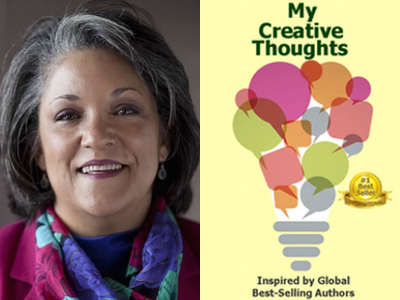 Whitefire Felkner is featured in Expert Insights’ #1 Int’l Bestseller, My Creative Thoughts Journal! Whitefire Felkner, the Founder of Alive and Free Collaborations, speaks to knowing and living the Free-To-Be-Me Freedom Formula at home, in biz and community so it rocks your world. 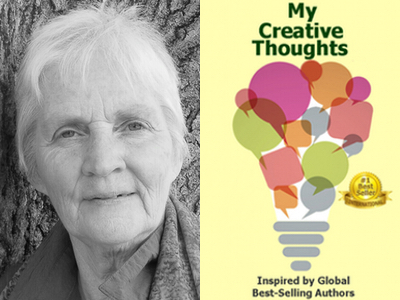 Virginia Reeves is featured in Expert Insights’ #1 Int’l Bestseller, My Creative Thoughts Journal! Virginia Reeves, author of the eBook Series Permission Granted, promotes acting on your own behalf and acknowledging your gifts.